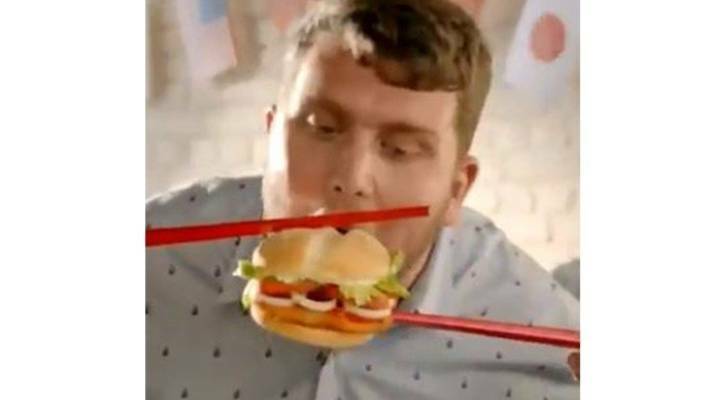 Burger King is facing heat over an advertisement out of New Zealand that shows diners attempting to chow down on burgers using oversized chopsticks. In addition to the chopsticks, the ad told potential customers to "Take your taste buds all the way to Ho Chi Minh City". "We have asked our franchisee in New Zealand to remove the ad immediately", said Burger King in a statement on Monday night. Burger King have not responded to the criticism, but the video was removed from their Instagram page. The ad gained attention after Maria Mo, a New Zealander of Korean descent, mocked Burger King in a viral Twitter thread, writing that "chopsticks r hilarious" and that "Orientalism is harmless funnnn". She added that people of color "are constantly having to deal with microaggressions as well as outright hatred and it just never ends". In her post, Mo wrote: "I'm so sick of racism of any kind". Last month, a gunman killed 50 worshippers at two mosques in Christchurch, New Zealand. The ad played on widespread Asian stereotypes, "as though their thought process went, 'what's Asian?" This is not the first time brands have been called out for being culturally insensitive when using chopsticks in marketing campaigns. Other social media commentators noted that the sweet chilli sauce used in the chain's new "Vietnamese" burger was probably more common in Thailand. Mo told www.huffpost.com that she shared the clip as she was exhausted of large corporations portraying Asians in an offensive manner. She was forced to block over 40 Twitter accounts. "We have seen such a long list of adverts that have caused outrage, you start to wonder whether these brands have lost touch with public sentiment", Wang said. Numerous detractors of the ad felt the use of the large chopsticks was meant as a visual punchline mocking Asian food customs. "Say no to every single manifestation of it", she tweeted. YouTube is working on choose-your-own-adventure-style shows, and hopes the new format will boost ad sales and viewership figures. They'll be made by a new part of the company, dedicated to interactive programming and live specials.